Belarusian President Alexander Lukashenka travelled to Kyiv on an official visit on 20-21 July. Both Belarus and Ukraine, for different reasons, are seeking to reinvigorate direct dialogue between their leaders, which they resumed three months ago in the Chernobyl zone. The ‘age-old friendship’ (in Lukashenka’s terms) between Alexander Lukashenka and Petro Poroshenko may appear paradoxical: the former is authoritarian and pro-Russian while the latter is democratically minded and pro-European. Ukraine is resisting Russian aggression while Belarus remains Moscow’s closest military and political ally. It seems that simplistic political clichés do not capture the two nations’ complex relationship. Lukashenka attended Poroshenko’s inauguration in June 2014 and returned again to Kyiv in December of the same year on a brief working visit. However, a lengthy hiatus of highest-level encounters followed. An attempt to arrange a meeting between the two leaders before the end of 2016 fell through, probably because of the Ukrainian elites’ displeasure at the Belarusian move against the Ukrainian resolution at the United Nations. The two presidents finally met on 26 April 2017, at the site of the Chernobyl NPP in Ukraine, and continued their talks at the village of Liaskavichy in Belarus. Lukashenka’s top priority was to boost business ties; Poroshenko’s greatest need was assurance of Belarus’s continued neutrality regarding Ukraine’s conflict with Russia. Despite a twofold drop in bilateral trade turnover in recent years, Ukraine remains Belarus’s second-largest trading partner, and Belarus is Ukraine’s fourth-largest. What’s more, the growth in trade resumed in 2016 (+10.5%, up to $3.8m) and accelerated in January-May 2017 (+26.7%). Managers of about 90 Belarusian and over 380 Ukrainian companies attended a Belarusian-Ukrainian business forum held on the sidelines of Lukashenka’s recent visit. They signed contracts amounting to $68m to supply petrochemical products, fertilisers, trucks, harvesters, tyres, lifts, and other goods to Ukraine. The two leaders agreed to intensify Belarusian-Ukrainian inter-regional ties – in particular by holding annual inter-regional forums. The first such event will soon take place in the Belarusian city of Homiel. The Belarusian government wants to adapt its trade relations with Ukraine to the latter’s decentralisation policies. The Ukrainian regions now have more power and money: thus, direct contacts may prove to be more efficient. Ukraine’s association agreement with the European Union will pose new challenges to bilateral trade with Belarus as Kyiv starts reorienting towards the European market. At the same time, this situation offers new opportunities for Minsk to promote its products in Europe through their higher localisation in Ukraine. The latter is also interested in exporting more to Belarus and its EAEU partners, especially in the context of reciprocal sanction regimes with Russia. In Kyiv, the Belarusian leader spoke about ‘thousands of goods’ that Belarus and Ukraine could jointly produce and sell. ‘We want to work together in the Distant Arc, in other countries… We will create high-tech goods and we will sell them together in foreign markets’, Lukashenka stated. His Ukrainian host was slightly more specific. ‘It is important that there is now a mutual interest in the creation of new joint ventures. By this I mean aircraft engineering, transport, and agricultural machine building’, Poroshenko said. According to Belarusian Deputy Prime Minister Uladzimir Siamashka, Belarus now has seven knockdown assembly plants in Ukraine, and Ukraine has six such enterprises in Belarus. Belarus’s strategy is to combine Belarusian preferential loans with Ukrainian subsidies to farmers and to increase localisation of goods in order to boost sales in Ukraine and third countries. Importantly, Lukashenka and Poroshenko discussed cooperation in the energy sector, calling it an extremely promising avenue. Ukraine wants to supply more electrical energy to Belarus. However, they still disagree over the exact terms of the contract. Poroshenko also announced that the two leaders ‘agreed to consider the possibility of expanding supplies of energy resources [to Belarus], especially crude oil, using the unique transit potential of Ukraine’. Thus, on 23 May in Minsk, Gomeltransneft Druzhba (Belarus) and Ukrtransnafta (Ukraine) signed an agreement on the use of the oil pipeline Mazyr-Brody. The pipeline would allow the transport of Azerbaijani and Iranian oil from the Ukrainian port of Odessa to Belarusian refineries. Currently, about 60% of Ukraine’s total import of petrol and 40% of its diesel fuel comes from Belarus. They are both made from refined Russian oil. Ukraine hopes to get an even better deal and increase the purchase volume by supplying crude oil for refining. For Belarus, securing alternative oil sources would mean mitigating its energy dependence on Russia. However, this would require strong political will and significant investments; such a scheme may not be economically viable given the advantageous oil prices Moscow still offers Minsk. In Kyiv, Alexander Lukashenka carefully avoided making any statement which could be interpreted as him taking sides in the Ukrainian-Russian conflict. He spoke about Belarusians, Russians, and Ukrainians as a ‘civilisational core in this part of the European continent’. The Belarusian leader stressed repeatedly that he would go no further in his peace-making efforts than Putin and Poroshenko asked. He also announced an increase in humanitarian assistance to the Donbass region. In the presence of Lukashenka, Poroshenko told the press about his counterpart’s assurances that ‘the territory of Belarus, friendly to Ukraine, will never be used for aggressive actions against Ukraine, and the Ukrainian-Belarusian border will never become a border of war’. The Ukrainian government and Ukrainian society remain extremely worried that Russia could use the upcoming military exercise West-2017, involving the Russian and Belarusian armies, to launch an offensive against Ukraine. The exercise will be held in Belarus on 14-20 September. Poroshenko had already spoken of Lukashenka’s assurances in similar terms at their April meeting. However, the promises of the Belarusian leader apparently failed to convince certain factions in the Ukrainian government. Following Lukashenka’s visit, Defence Minister Stepan Poltorak refused to rule out the possibility of ‘provocations from Russia under a false pretext’ in the context of West-2017. 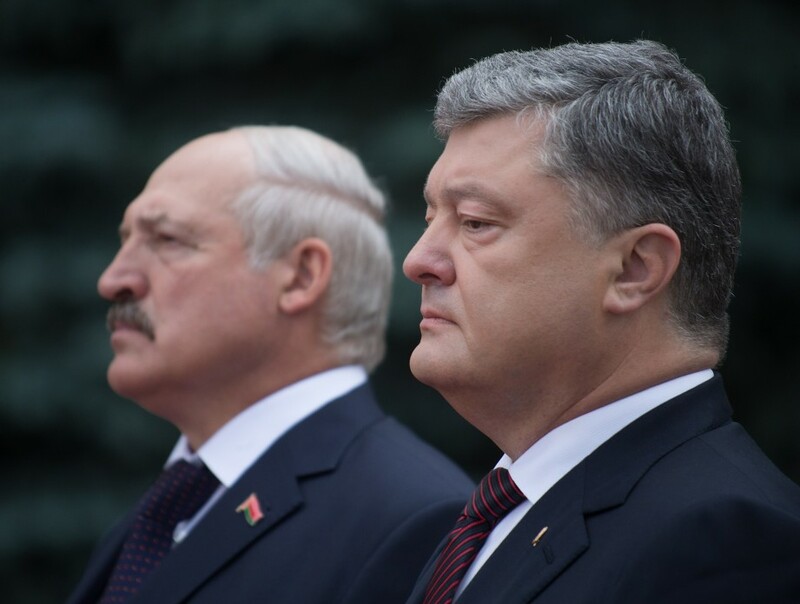 The meeting in Kyiv demonstrated that Lukashenka and Poroshenko have developed a close personal rapport. The two countries’ governments share an interest in stronger economic ties; they also have a fairly good understanding of how to build them. Belarus will never willingly endanger Ukraine’s security. Ukraine understands that it cannot realistically expect more than Belarus’s neutrality in the Russian-Ukrainian conflict. Despite the fact that they belong to opposing geopolitical alliances, Belarus and Ukraine still need each other to withstand Russia’s pressure. Their close bilateral cooperation will be instrumental in making both countries stronger. The Belarusian state press promotes the new Helsinki process initiated on Minsk’s initiative and reports on the numerous foreign policy achievements of the country. The government attempts to engage the Belarusian Diaspora worldwide to realise its goals. Belarusian exports demonstrate growth after a long recession. This and more in the new edition of the Belarus State Press Digest. Lukashenka demands that Belarus’s presence worldwide increases. ‘The current stage in the development of the Belarusian state requires building up foreign policy and economy in a more broad and systematic way. It is time for Belarus to speak out loud in the international arena and actively promote and protect its national interests’. The Belarusian leader gave this comment as part of a speech to the diplomatic corps and all bodies of power at a meeting on foreign policy priorities, reports Belarus Segodnia. Lukashenka went on to claim that it is fundamentally important to develop cooperation with the East and West, without making a choice between them. The country needs to establish contacts everywhere, so that others know and understand it. The potential for normalising dialogue with the West should be realised more actively. In the European region and in the world, Belarus’s new role as a ‘security donor’ is becoming increasingly evident, as the country’s partners are showing interest in the Minsk initiative on launching a new Helsinki process. Belarus eager to boost economic cooperation with Ukraine. During an official visit from the Belarusian president to Ukraine, Alexander Lukashenka and Pyotr Poroshenko agreed to focus on a return to an annual trade turnover of $8bn. Belarus and Ukraine also agreed to work on industrial cooperation and joint projects to modernise road and transport infrastructure, introduce innovative technologies, develop production cooperation, and increase cooperation between regions, reports Belarus Segodnia. Poroshenko called the development of close relations with Belarus a highly important priority, while Lukashenka proposed to work together on humanitarian aid to Donbass, stating that in his peacemaking attempts he does not have personal ambitions and does only what Putin and Poroshenko ask of him. 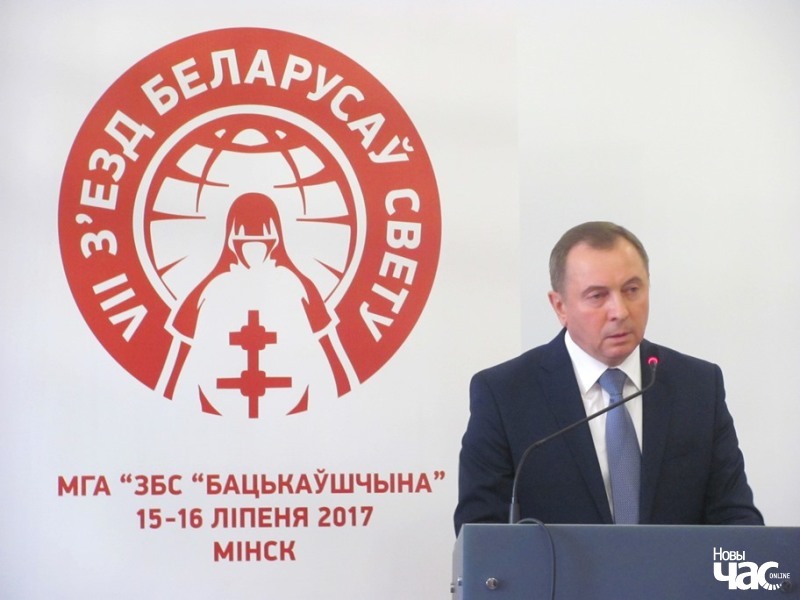 Minsk hosts the VII Congress of the World Association of Belarusians. The congress gathered 300 delegates from more than 20 countries, including Belarusian Minister of Foreign Affairs Uladzimir Makiej, writes Zviazda. According to Makiej, the authorities are sincerely interested in a greater role for the diaspora in the social, economic, spiritual and cultural development of Belarus, preserving and strengthening the independence of the Belarusian state. The Ministry and the Belarusian diaspora need to identify promising areas for cooperation. A start could be organising cultural events which promote the country’s image, and returning cultural artefacts to Belarus, Makiej said. Today, between 3 and 4 million Belarusians live abroad, according to various estimates. Belarus manages to block two critical resolutions at the OSCE Parliamentary Assembly. Narodnaja Hazieta published a comment by political expert Aliaksandr Špakoŭski on the results of the OSCE Parliamentary Assembly session in Minsk, which Belarus hosted for the first time in its history. In addition, Belarus managed to effectively block two resolutions critical of the political regime in Belarus. The first, proposed by Lithuania, concerned the construction of the Astraviec nuclear plant. The second document, ‘Situation in Eastern Europe’, was initiated by a Swedish deputy. This great success was possible thanks to both diplomatic talent and parliamentary professionalism, as well as the result of the rapprochement of Belarus and the EU. Importantly, as Špakoŭski notes, it is not Belarus which is changing its political institutions or policies, it is the EU changing its attitude towards Belarus. The West, waging a political struggle with Russia, continues to view Belarus as a potential arena for this confrontation, but its tactics have changed. If earlier Western countries directly attacked Belarus, now they are performing a kind of diplomatic sounding, which suits Belarus more than an open confrontation. Belarus sees increase in exports. This is the result of a number of international successes and activities that have helped make Belarus known in the world, writes Respublika. In January – May of 2017, exports of goods and services increased by 20.6%, or $2bn when compared with the same period of 2016. At the same time, imports over the same period have increased by only 15.7%. A certain breakthrough also occurred in trade with North America, which was long frozen. Both exports and imports are growing, although figures still remain relatively small. Meanwhile, in the first five months of the year, exports of goods amounted to $80m, or 2.5 times higher than last year. However, the Belarusian services, and especially IT residents of the High Technologies Park, have been more successful: exports in services could reach $500m by the end of 2017. The Belarusian nuclear power plant is to be launched in the summer of 2020. The General Director of the Russian State Atomic Energy Corporation Rosatom, Alexei Likhachev, assured Alexander Lukashenka of this during their meeting. Lukashenka emphasised that the construction of the NPP is important from an economic, political, and moral point of view. According to him, the decision to build a nuclear power plant after the Chernobyl disaster was not easy, as phobias remained strong, but the government has managed to convince the population of its safety. The authorities are monitoring the construction very thoroughly and the president personally receives updates on the details of construction. Belarus plans to improve legislation in the field of public procurement. Hrodzienskaja Praŭda quoted an official of the Department of Financial Investigation of the State Control Committee, Viačaslaŭ Andruchaŭ. He announced these plans ahead of the international TAIEX seminar, organised by his agency jointly with the European Commission. The most common corruption cases in public procurement concern the illegal restriction of individuals’ access to participation in the procurement procedure in order to create conditions for concluding a contract with a pre-selected organisation, as well as conscious understatement of the price by the bidder and subsequent increase thereof by concluding supplementary agreements to the contract.